Why do pairs of random musings make for such weird, delightful verse? One day last month, a young woman who goes by the nom-de-tweet ­@luisluis informed the world that she is no skinflint when it comes to tipping. The same day, another Twitter user, @Maria_ThatGirl, revealed that she is currently looking for romance. Good to know, right? As of last year, there were about 500 million people on Twitter, posting a combined 400 million or so tweets a day. Along with all the important stuff on the site—breaking news, celebrity pratfalls—there is the endless rat-a-tat of idle thought. If Twitter has given us a glimpse into the collective consciousness, it looks a lot like someone staring out the window of a bus. But, as many a Twitter user has fondly pointed out over the years, life is what you make of it. And the same could be said of one of the world’s largest forums for discussing bad hair days and dinner plans. I always give the pizza guy a tip. I’m ready for a REAL relationship! I read this couplet aloud to three people recently—a poet, a professor, and a comedy writer—and all three had the same reaction: They laughed, then they wanted to hear it again. 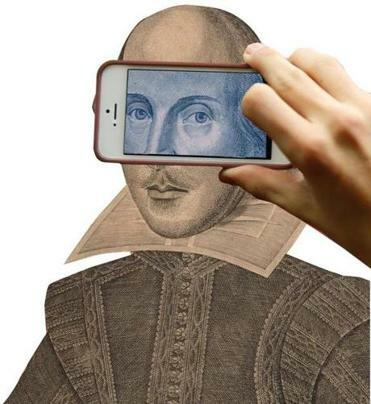 “It’s like Dryden and Pope on holiday in California,” remarked Michael Dobson, director of the Shakespeare Institute in Stratford-upon-Avon. “It’s very striking.” Yet these lines are composed of the same banalities mentioned in the first paragraph, reproduced verbatim. Over the last year, a program called the Pentametron has been busily creating thousands of couplets like the above—21,000 to date—by randomly matching pairs of rhyming tweets that were inadvertently written in iambic pentameter (da-DUM da-DUM da-DUM da-DUM da-DUM). The resulting verse, retweeted together by the bot, is a fantastic diversion—often very funny, and sometimes surprisingly touching. Old people always have the nicest cars. 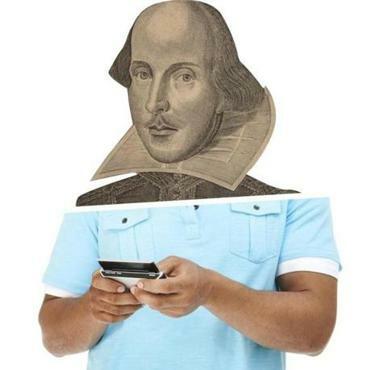 As you leaf through these odd little poems (twitter.com/pentametron), the novelty of trivia being dished up the form of a Shakespearean sonnet develops into something more interesting. The couplets produce bursts of meaning and emotion—yet you know it’s an unthinking, unfeeling machine that has patched them together. It’s a project that raises questions about what makes writing feel like a work of art in the first place. After all, any resonance between the Pentametron’s lines comes not from some poet, but from you. My eyebrows are annoying me today. I’m not a friendly person anyway. But expectation and fulfillment do more than just affect our reading of poetry. These are the impulses at the heart of our attempts to impose order on the world, and they tend to skitter off in all sorts of odd directions when the world presents us with, say, a zucchini shaped like the Virgin Mary. Those moments when our expectations are somehow defeated and fulfilled at the same time—that’s when things get a little weird. My Nike sweats were made in Pakistan. A million dollars Just A Dime Away. I haven’t eaten anything today. In some sense, Bhatnagar has gone a step further than his predecessors. The Surrealists may not have known where their lines would fall into a scheme, but they were consciously producing art. The Flarfists, meanwhile, pieced together random scraps—but there was still a poet in charge. The Pentametron, in relation to these, is pure accident: Its component thoughts are produced by unwitting subjects and assembled automatically. And while these creations certainly sound like art, using such a precise form to organize chaos also makes for absurdity. Ben Popik, a comedy writer, has a mockumentary out this spring titled “The Exquisite Corpse Project,” which was written according to the rules of the game. Popik’s interest in this area is more about comic value than the potential to tap into deeper meaning. “I remember as a kid, we’d put the TV on mute and play Michael Jackson’s ‘Thriller,’” he says. “Whenever it synched, we’d roll around on the floor laughing.” While he’s amused by the Pentametron, he’s not so sure that poetry based on the “boring, commonplace lines” on Twitter will have an enduring appeal. “Probably not,” he says. I wanna take a nap before the game. Chris Wright is a writer and editor living in England.